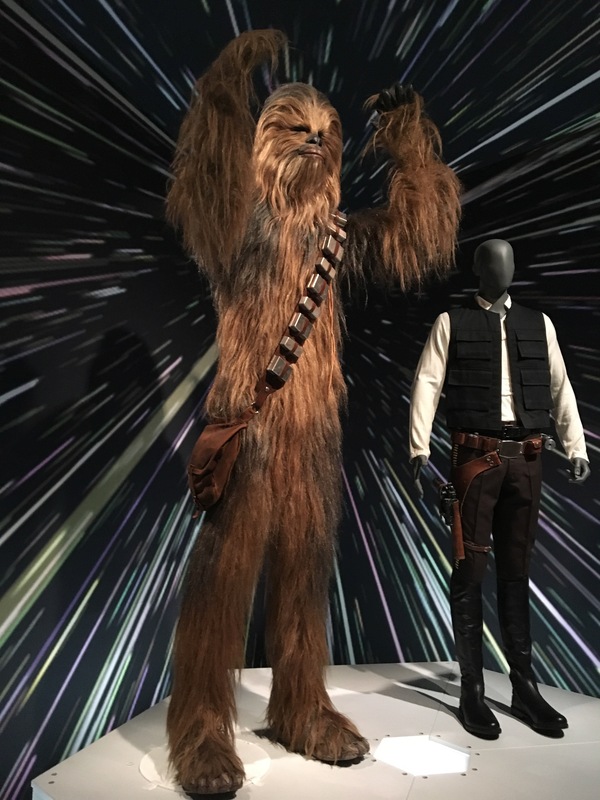 As I said last post, the Detroit Institute of Arts (DIA) is hosting an amazing exhibit of Star Wars costumes. I went to the exhibit to see costumes, but I found myself enjoying lessons in creativity as well. This was the most interesting theme of the exhibit for me. 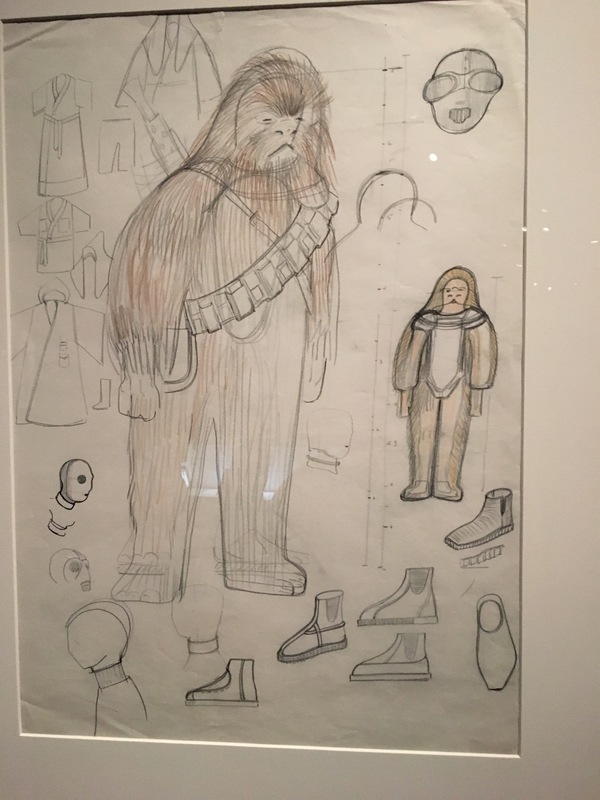 I loved seeing the concept art, and the changes in design across time and repeated efforts. 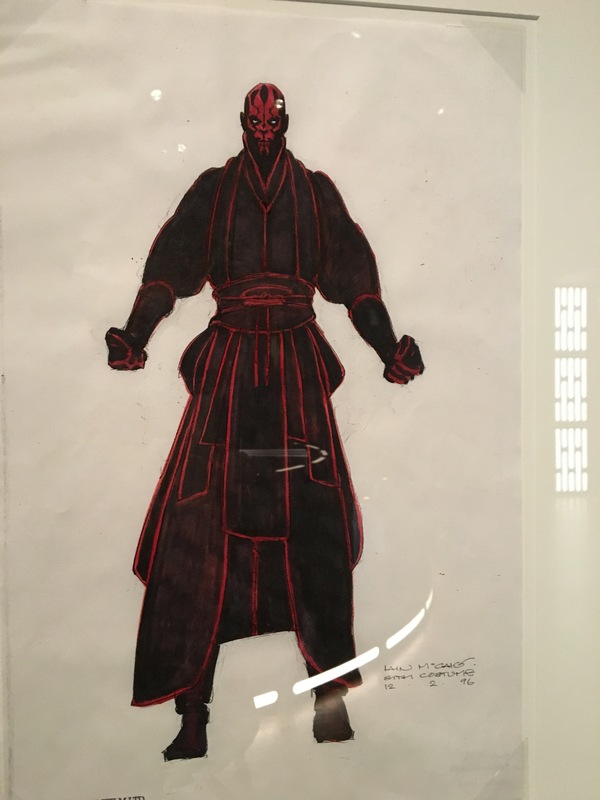 One of my favorite stories dealt with the development of the character Darth Maul. 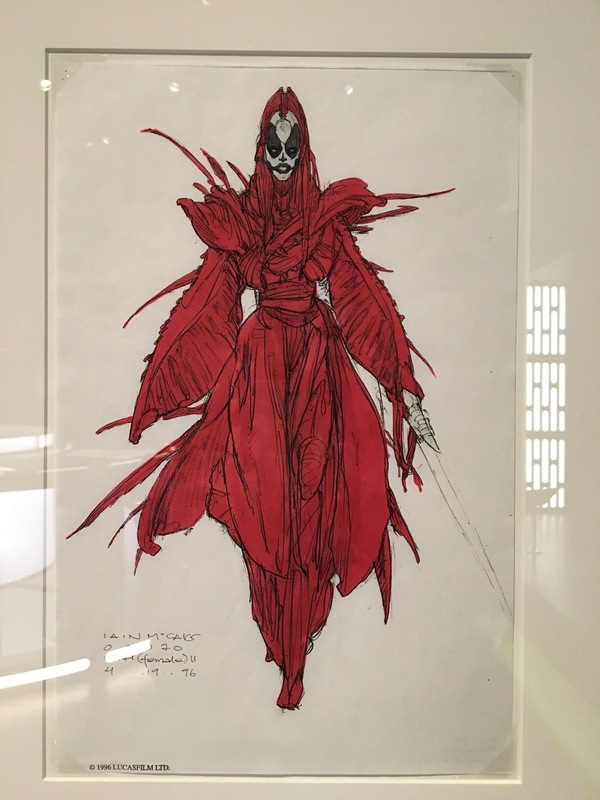 Concept artist Ian McCraig recalled, “George Lucas had described Darth Maul as a figure from your worst nightmare. So. . . I drew George my worst nightmare. 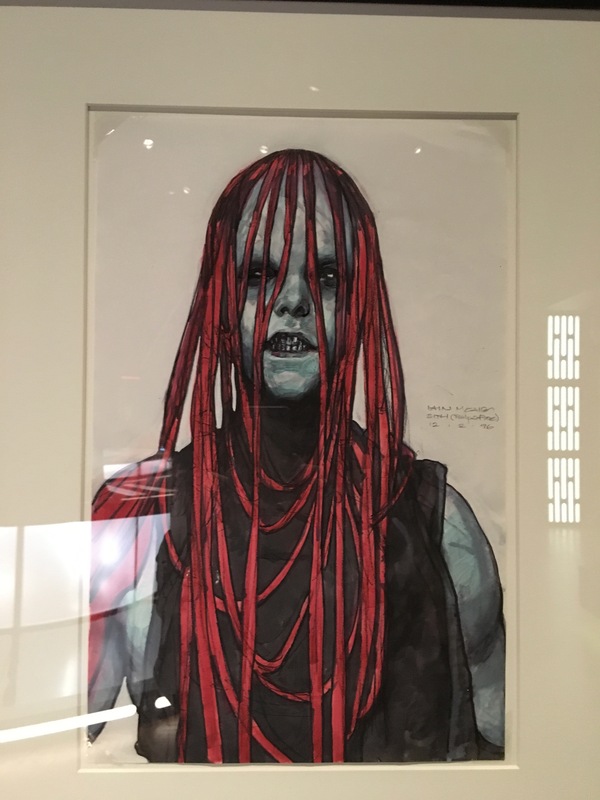 He then asked me to back off and draw my second worst nightmare.” Apparently McCraig’s worst nightmare looked like an evil adolescent with blood red locks. As he backed off into his second, or maybe third worst nightmares, the character emerged. 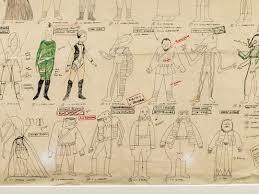 Of course Darth Maul was not the only character who developed over various depictions. Here’s an early Jabba the Hut, not nearly as grotesque as the final version. 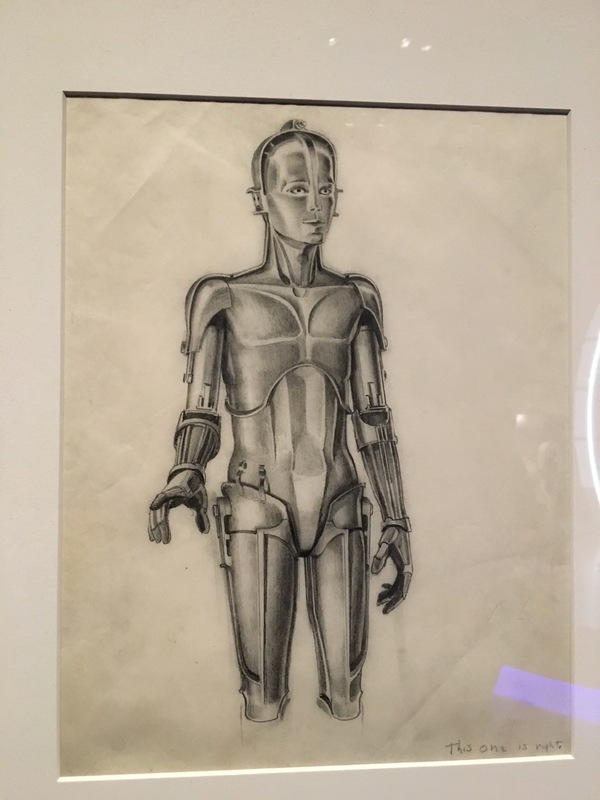 Chewbaca evolved from a much cuddlier fur creature (as compared to the warrior above) and even C3P0 started as a much more feminine version, inspired by the old movie robot in Metropolis. 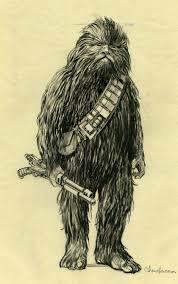 Lucas’ original vision of Darth Vader was considerably different from the final version. 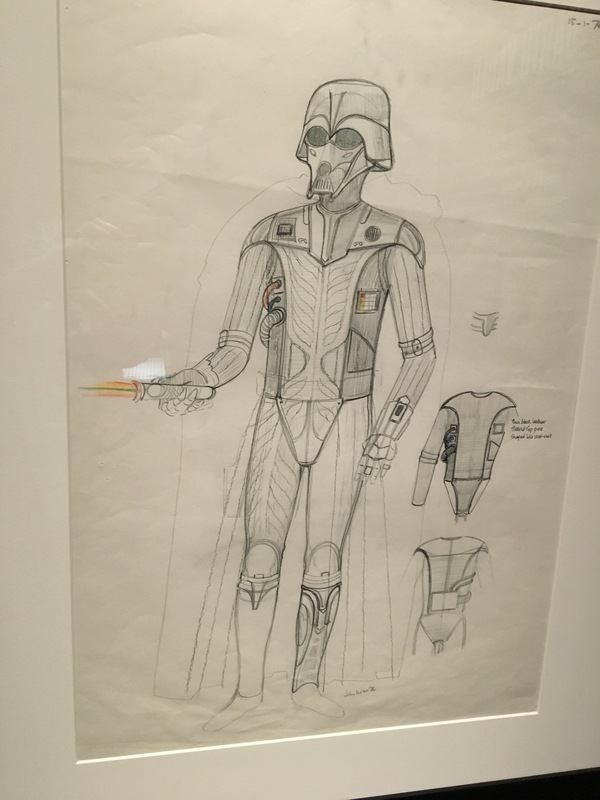 According the exhibit, Lucas first wanted Vader to look like a “dark lord riding the wind,” with flowing robes, a samurai-type helmet, and a silk mask. The look evolved, including a prototype that used a German helmet, a gas mask, a motorcycle helmet, and a monk’s cape! Here are some early thoughts. 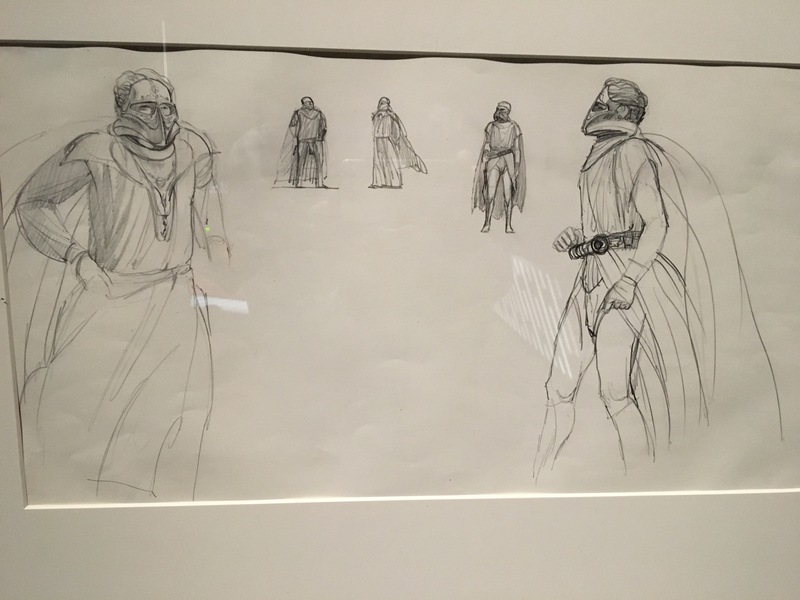 Finally, I can’t leave my account of early versions without one of my favorites: early sketches for the Cantina scene in the 1976 movie. How much fun is this? 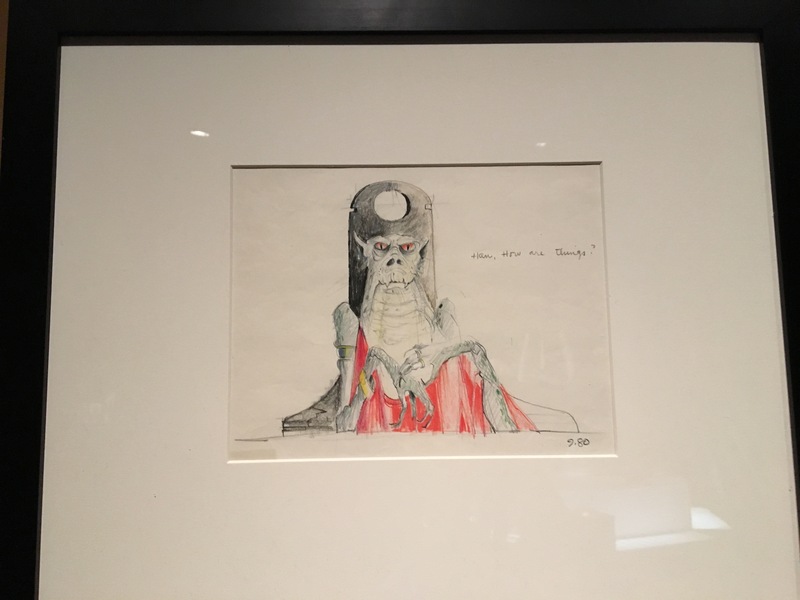 I started to suggest that sharing these early drafts with students can help them recognize that even some of the most astonishing creativity doesn’t emerge from a vacuum fully formed. Ideas develop and change, with bursts of insight, and hours of elaboration and revision. All that is true, but I suspect it is a good thing for all of us to remember. Whatever we are doing, we can revise and redo without thinking of it as failure. We can think of it as creativity!